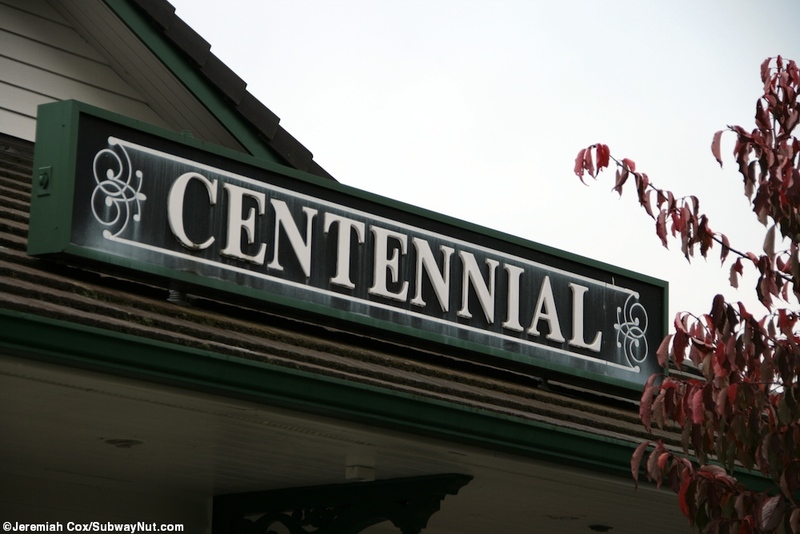 The Olympia-Lacey, WA's Centennial Station has one of the most fascinating stories I know of and is entirely staffed by volunteers. They act just like any agent announcing trains, controlling the electronic gate that closes off the one entrance to the platform with its high fence until the locomotives have passed the entrance to the platform (do not try to get on a train there wanting photos). The one thing they cannot due is handle money or reservations. There is a Quick-Trak kiosk in the station but it was out-of-order when I was there making for some unhappy conductors (who did not know this) on the arriving trains. 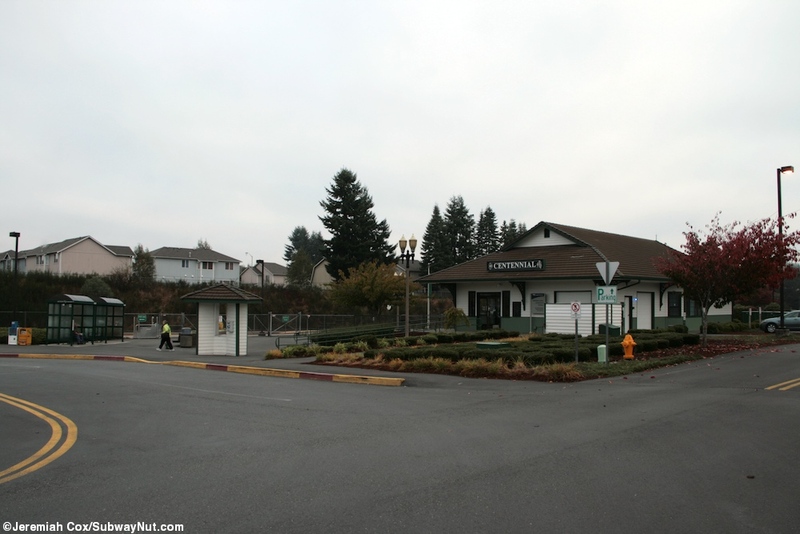 The area was originally served by an AmShak down the line (and the stop used that name) in East Olympia, WA at Rich Road and 83 Street, with no public transit access and limited parking. 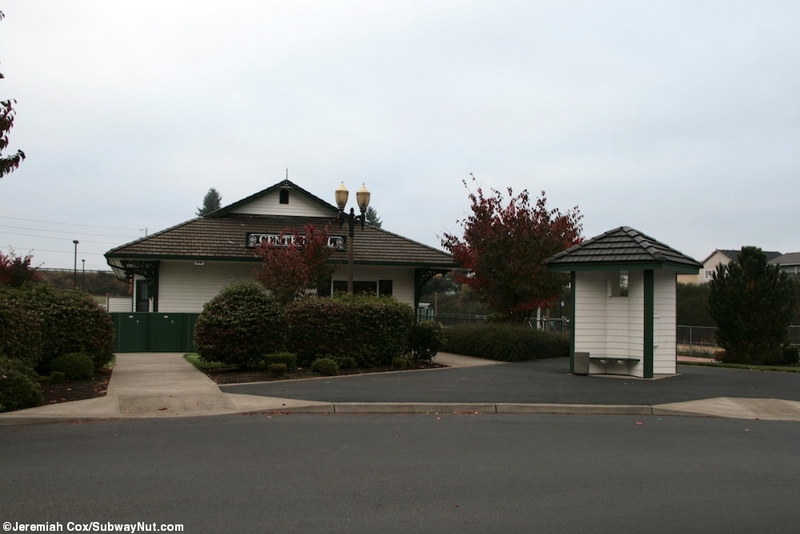 In 1987 the non-profit depot committee formed to fundraise to build a new station here just outside (the railroad tracks are the boarder) the city limits of suburban Lacey with the county donating the land and a State of Washington grant paying for only the platform, access road, and parking lots in the station which also serve Intercity Transit (the local system) bus. 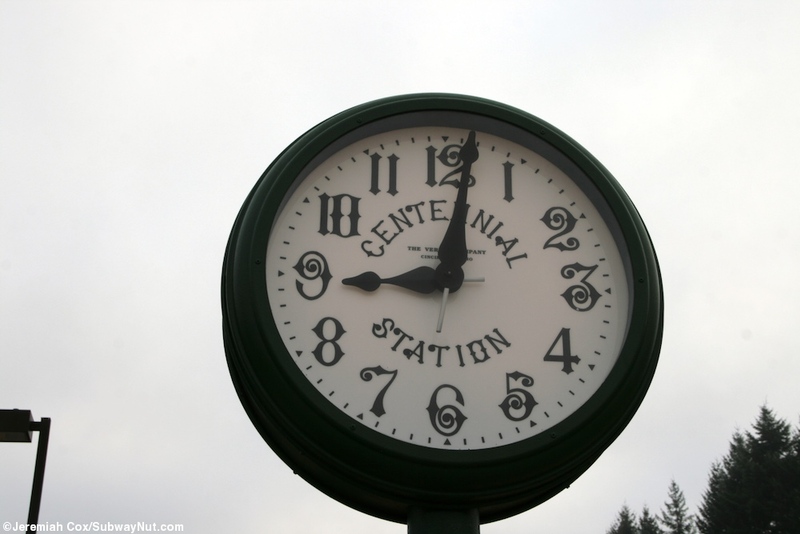 The train station switched to the new location sometime between April and October 1990 when the platform was completed. 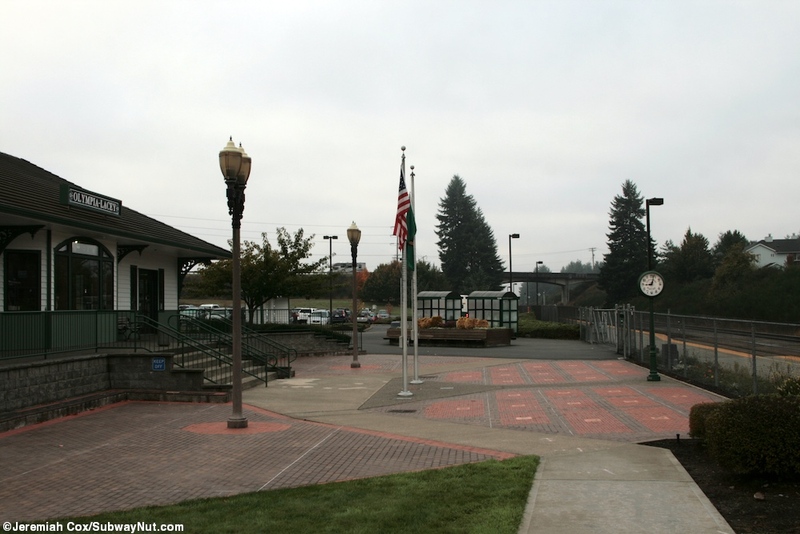 The station building, dedicated in 1993, was built entirely with private donations, a plaza between it and the platform has flags and bricks engraved with the names of both private donors and corporate ones. 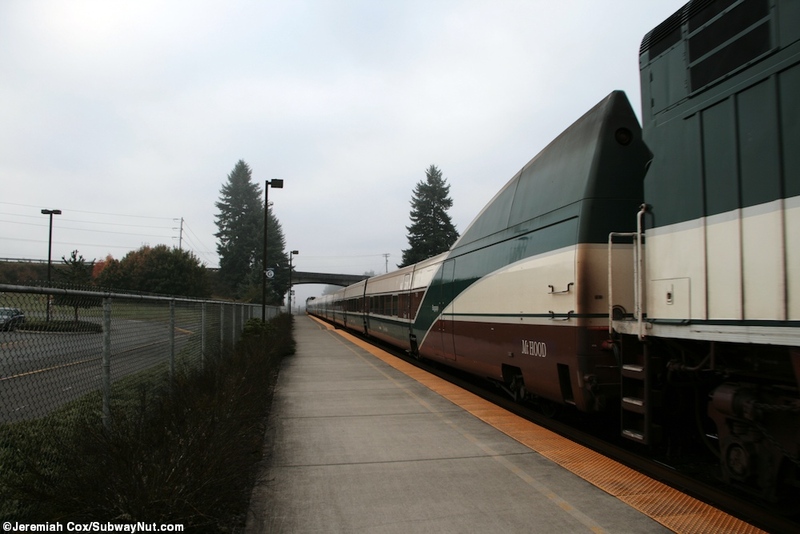 These include Renfe Talgo of America Inc. The architect for the station even donated his time. In total $100,000 were raised in cash and $300,000 in products and services were donated with a final $60,000 donated by the State of Washington for utility hook ups. 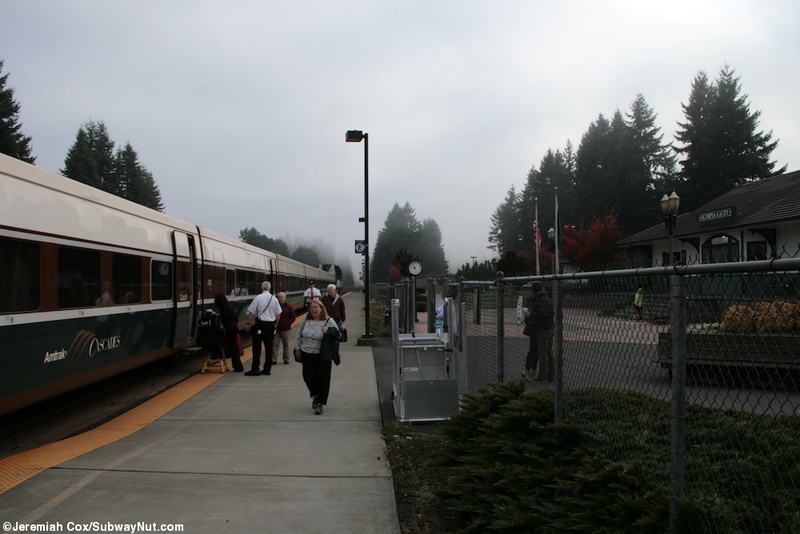 Every train stop at the station is overseen by volunteers mostly retirees. The stop even has a sign for the door they can edit and display if the northbound Coast Starlight is running very late so they can leave and return. No departure is unstaffed. 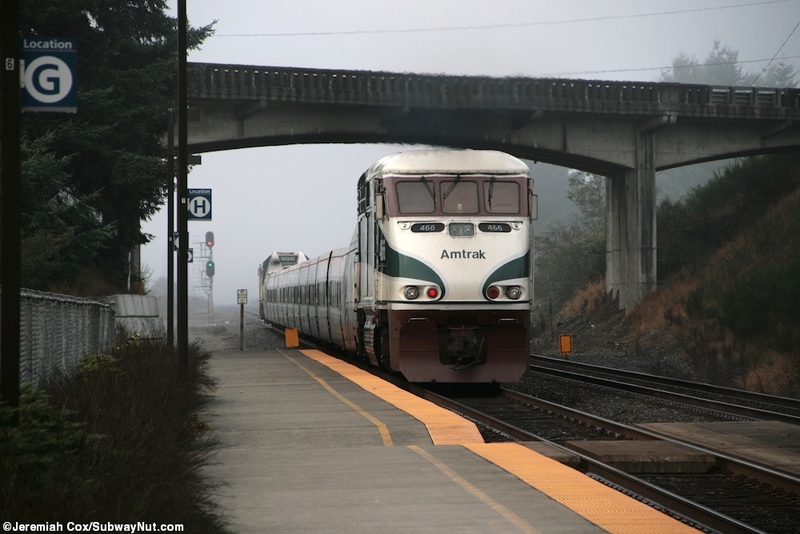 The knowledgeable volunteer who was at the station when I visited complained about how the station is listed as unstaffed even though it is not (Amtrak considers it since volunteers can't access money or issue tickets), and wished Amtrak could tell booking passengers that it is staffed by volunteers. 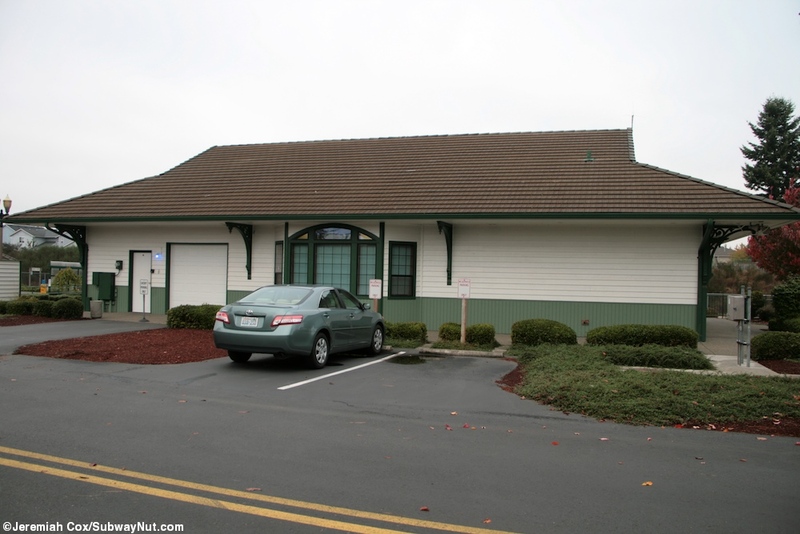 As of the November nationwide timetable, Amtrak has added a new designation for these types of stations in North Carolina, that are staffed by North Carolina Station attendants. 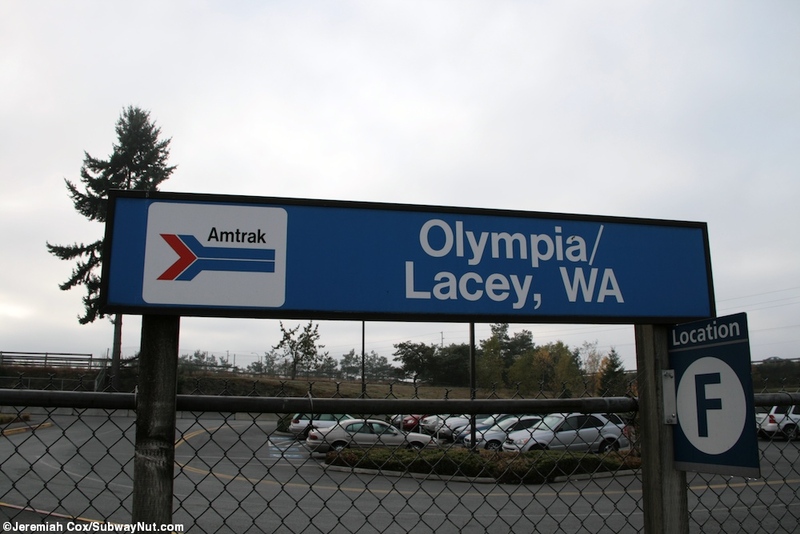 There is no reason that Olympia-Lacey can't have this designation. The station building itself has a small waiting room with a stained glass representation of a train over the picture window out to the platform and walls filled with lots of train information, including awards the stop has received and plaques for diseased volunteers. 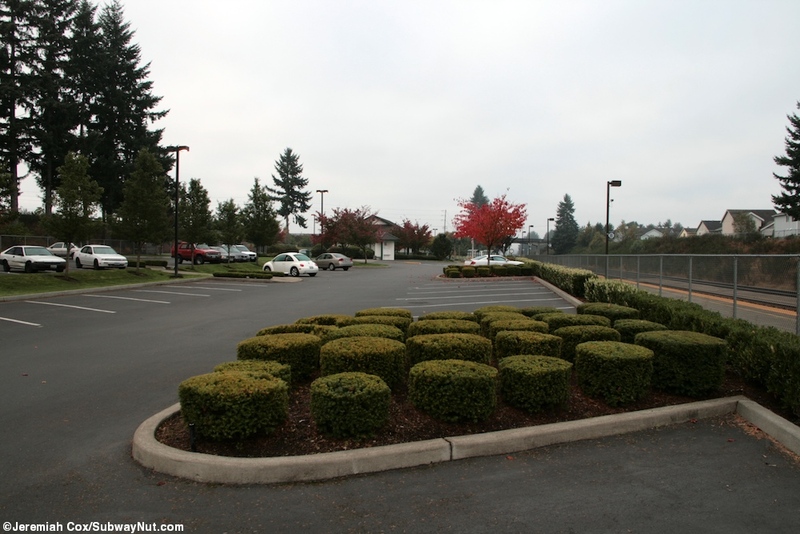 It is shared with a secondary station for the county sheriff. There are also a line of plush chairs, restrooms, and vending machines as well as what represents a ticket office with a low desk and the bulletproof glass above. There is also a few displays that goes through various homemade looking slides the volunteer updates with information on the next arriving trains. It would be very easy to staff the station with a genuine employee. It leads out to the plaza of donors already discussed and then the single long train platform with a tactile warning strip, a left in the open mobile-lift (that isn't used with the Taglo cars), and a couple old pointless arrow Olympia/Lacey Signs. 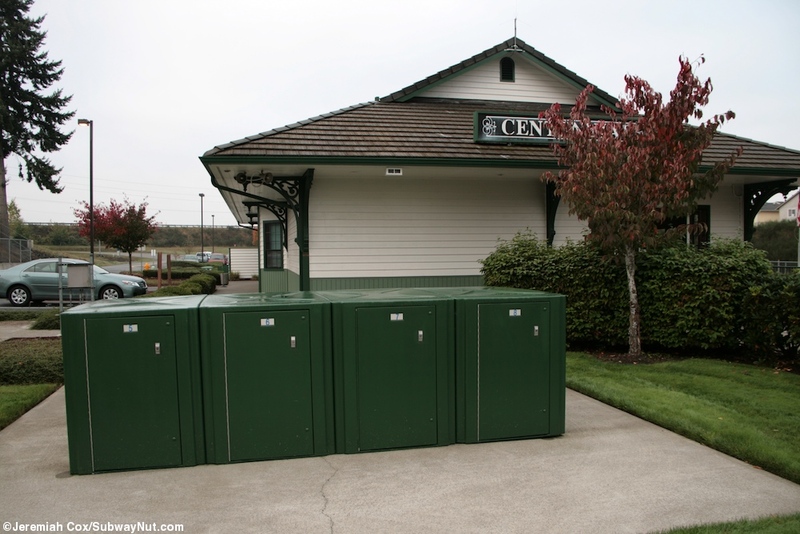 This single platform is entirely surrounded by a fence with an electric gate that the volunteer opens for every departure but only after the locomotives have crossed the area in front of it. When I was photographing my Talgo train leaving I almost got trapped inside, the volunteer had already started to close the gate! 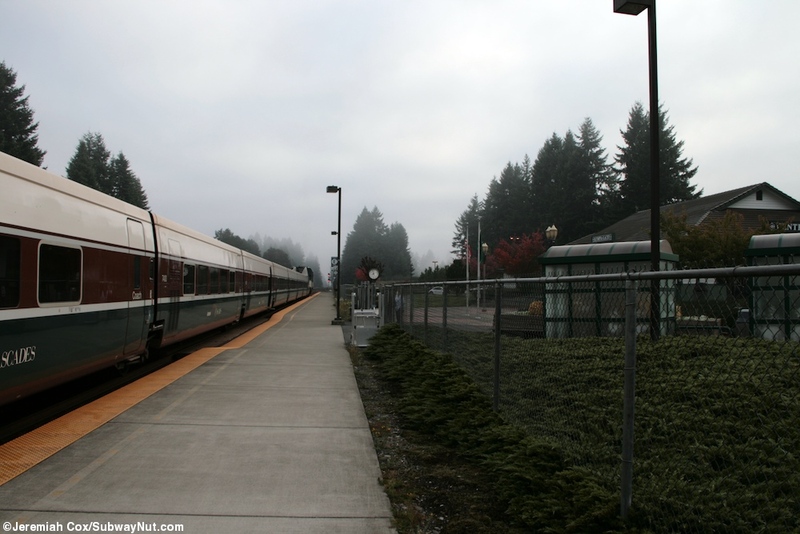 The platform is a single side platform for the two-track railway but switches now exists at either end of the station allowing trains traveling on the opposite track to stop directly at the platform. There are still wooden blocks in place that were used for boarding trains on the second track before the new switches were installed. The stop has no sidewalk access. 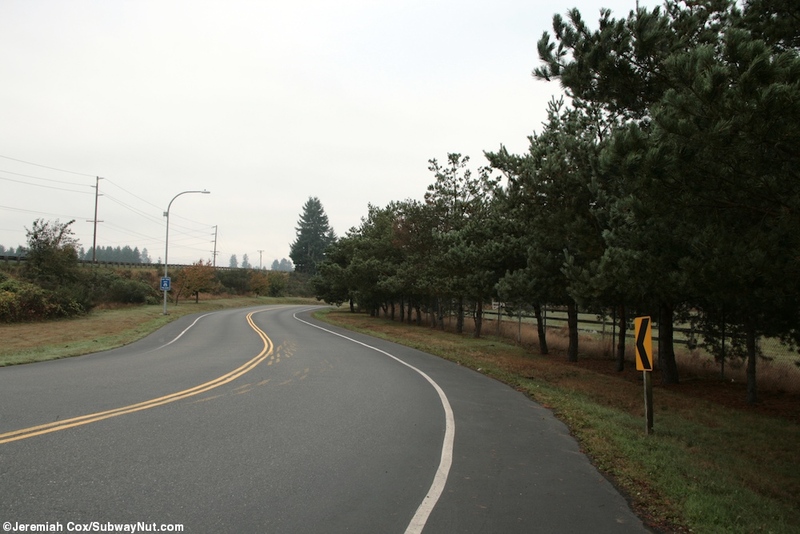 There is just an access road down from the Yelm Highway and horse farms are the primary industry on the station side of the tracks. 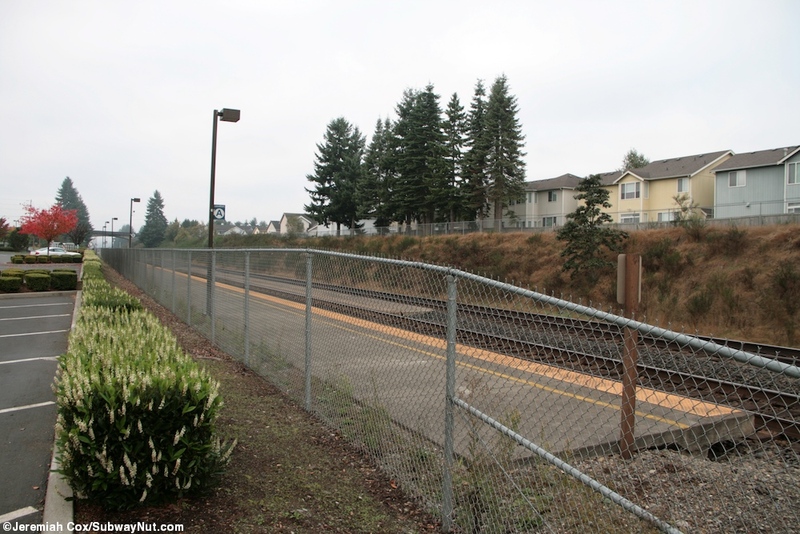 Across the tracks are cul-de-sacked suburban communities that once pedestrians cross the Yelm Highway Bridge across the railroad tracks just south of the station have sidewalks. 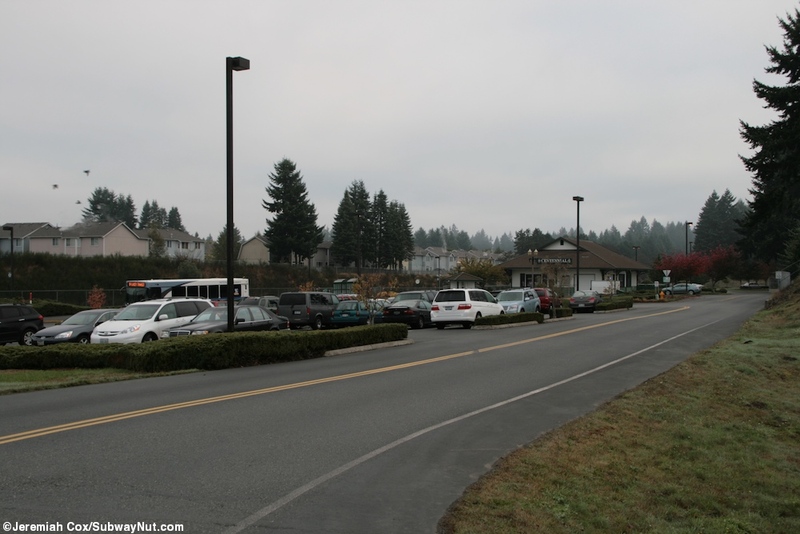 The park & ride lot surrounding the station has 98 spaces and is served by two Intercity Transit routes into Olympia. 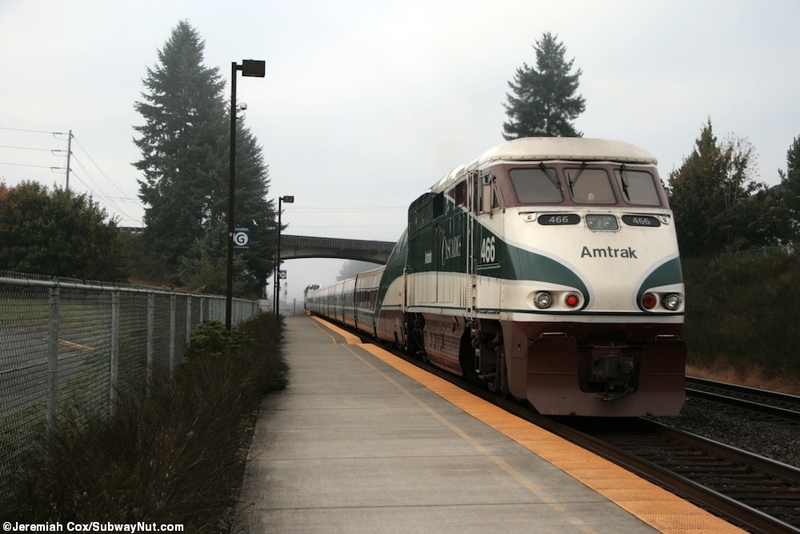 These even connect with routes to Tacoma so the ride all the way to Seattle and as far north as Bellingham can be done by Express Bus! 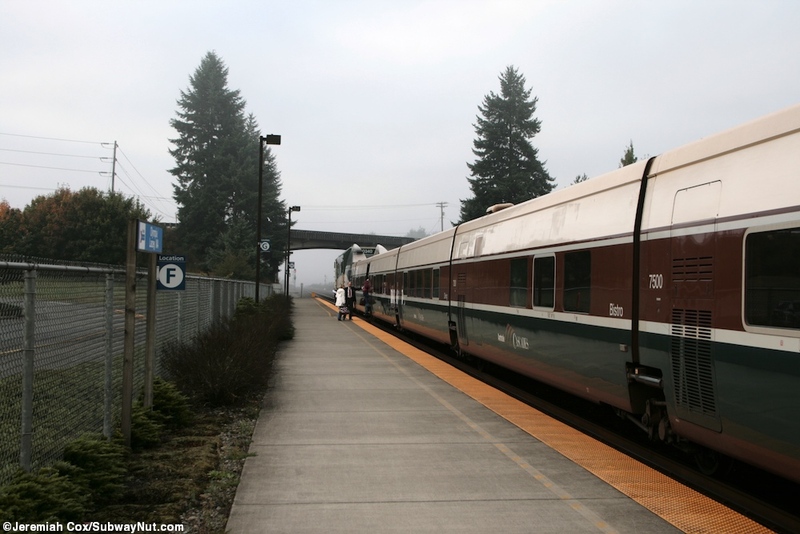 This ride to Bellingham would cost only $2.50 + $3.50 + $2 + $2 = $10 for the 170 mile ride! but would take most of the day. 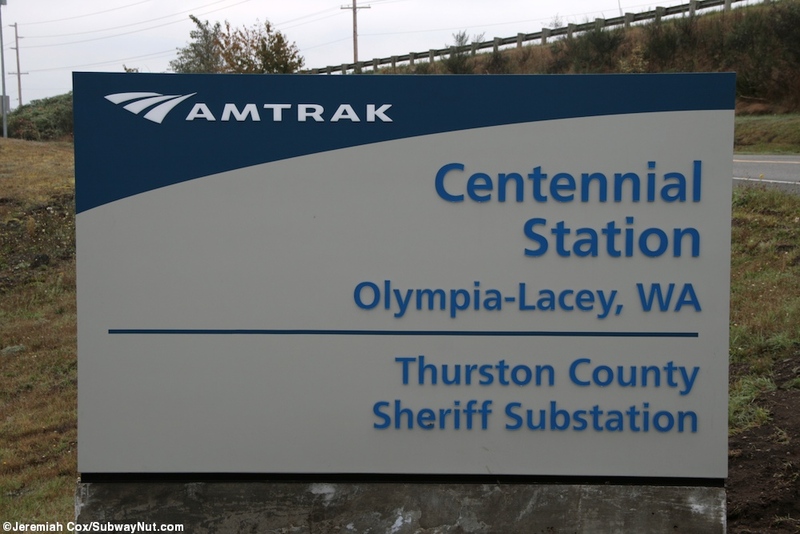 Signage at the station is inconsistent with both an old Amtrak Format sign at the entrance from the Yelm Highway and a new format one along the driveway there also some decorative green Centennial and Olympia-Lacey signs on the new but historic looking depot. 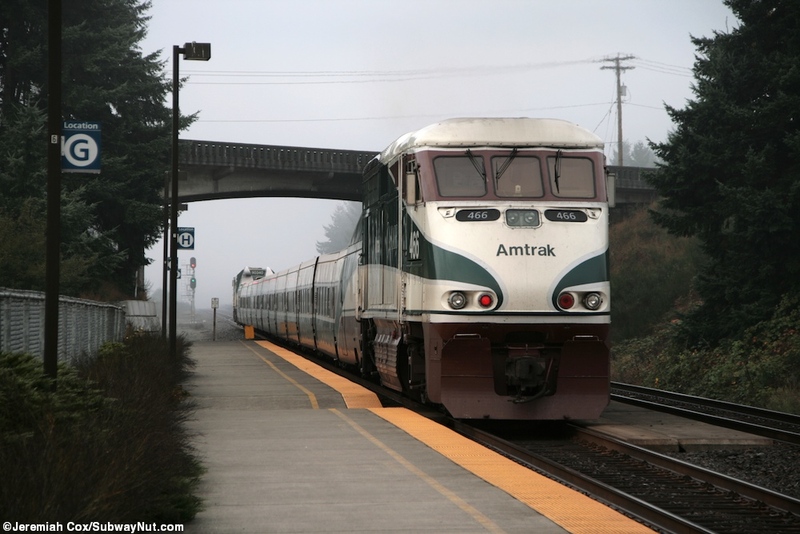 This website is not affiliated with Amtrak Cascades, their official website is here, A source I have used countless times while compiling this section is Amtrak's Great American Stations as well as Timetables.org where all historical train information comes from.